This is an exclusive limited edition commemorative cover produced by the Israel Stamp Collectors Society and the International Stamp Coin Collectors Society Saluting the Jazz City SESQUICENTENNIAL MEMPHIS with The Father of The Blues, the famous composer and musician, W.C. HANDY. 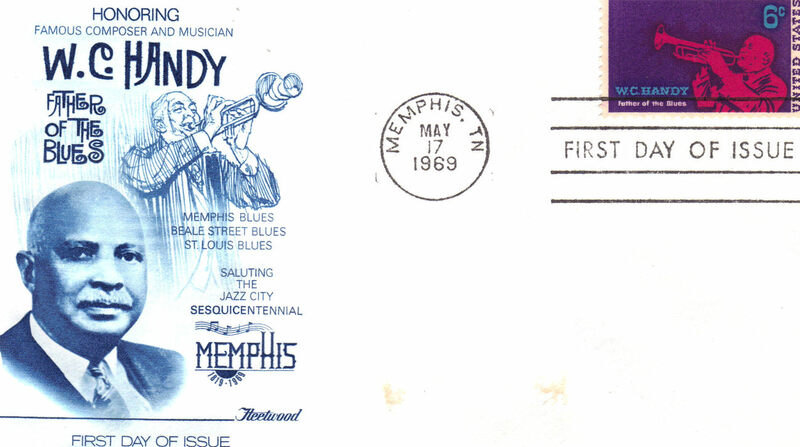 Stamped Memphis, TN May 17th 1969. Measures 6-1/2" L x 3-5/8" H 2 indention marks from being pressed on it for some time, otherwise in excellent condition. Send email if you need additional details. Buyer is responsible for 1.95 shipping to anywhere in the USA Canada. Send email for international rates. Do check the store for many more Las Vegas Collectibles daily. Thanks for stopping by!